Spring is almost here! Time to crawl out of winter hibernation and the depths of cold and flu season to embrace getting healthy. 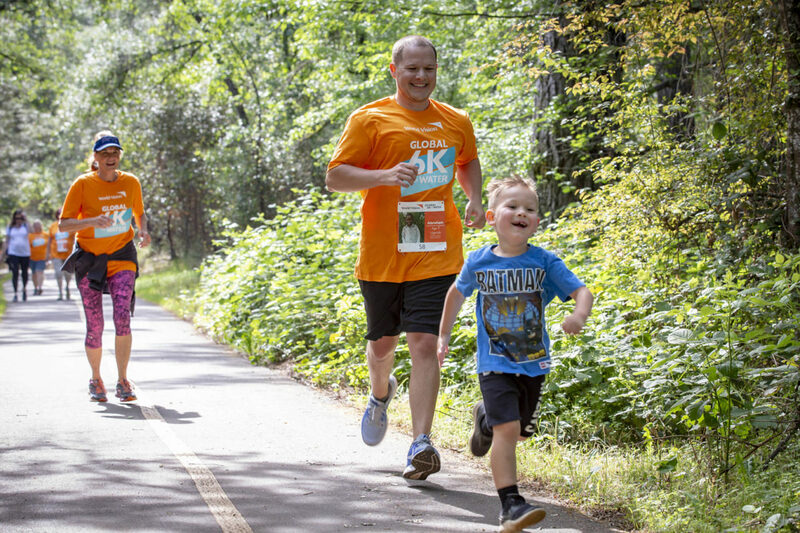 Some families sign up for a 5K race to get everybody moving again. But what if you could get fit, get your family outside, grow your faith, and make a difference for a great cause? That’s a tall order for any family activity, but it really is possible. 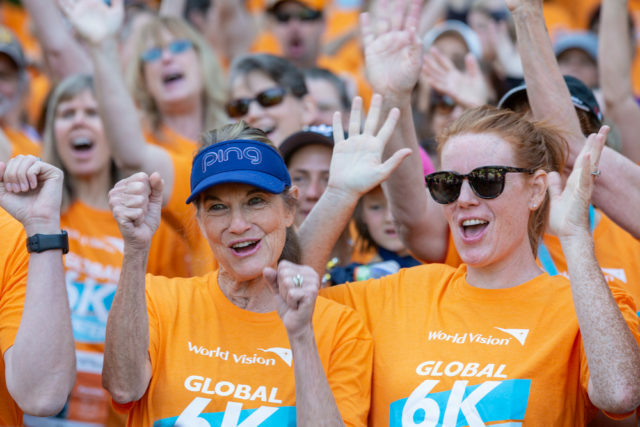 In fact, thousands of families are signing up for the Global 6K for Water on May 4, 2019, for all those great reasons. You can do it from anywhere, and each registration fee provides clean water for a person in need! Why a 6K for clean water? Six kilometers (3.7 miles) is the average distance people in the developing world walk for water every day. Women and children, especially girls, spend hours every day hauling water that isn’t even safe to drink. But they have no other choice. We can change that. Are you ready to be a part of the change? Join us in fighting the global water crisis by signing up today. 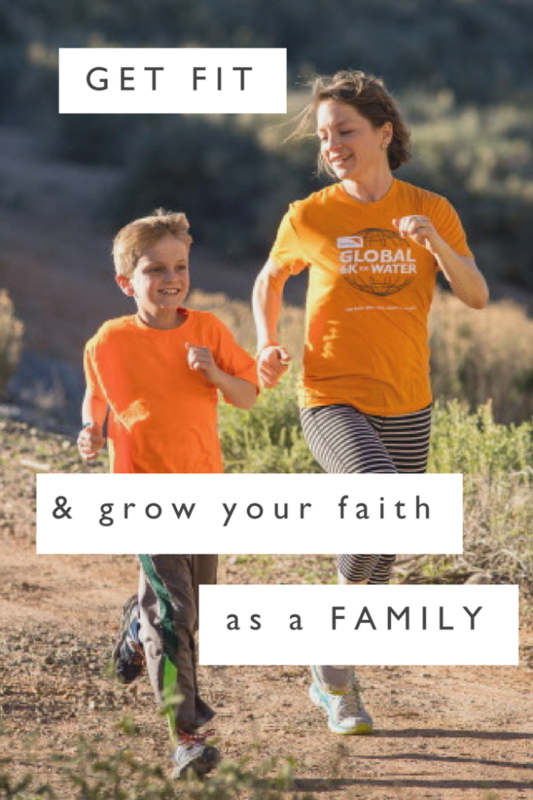 And don’t forget these tips for fitness, faith-building, and fun to help you and your family prepare well for your walk for water. So, you signed up. (Or are thinking about it — what are you waiting for? Sign up now!) Are you ready? Can you get ready? Maybe you’ve been too busy to get out there and pound the pavement. Maybe you’ve never participated in a walk, run, or race fundraiser before. Whatever it is, don’t worry. We’ve got you covered. 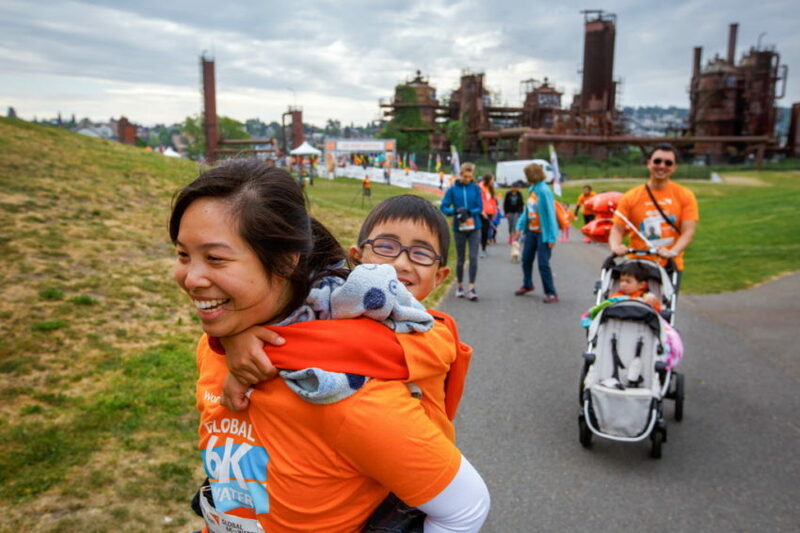 Here’s what you need to know to prepare well for your 6K and have a blast as you help bring clean water to children around the world. Most of us need to spend less time on the couch and more time getting outside and being active. The great thing about the Global 6K for Water is that you can make the distance as easy or as challenging as you want. Training tip: When you drink clean water out of your water bottles, remember why you’re walking (or running). 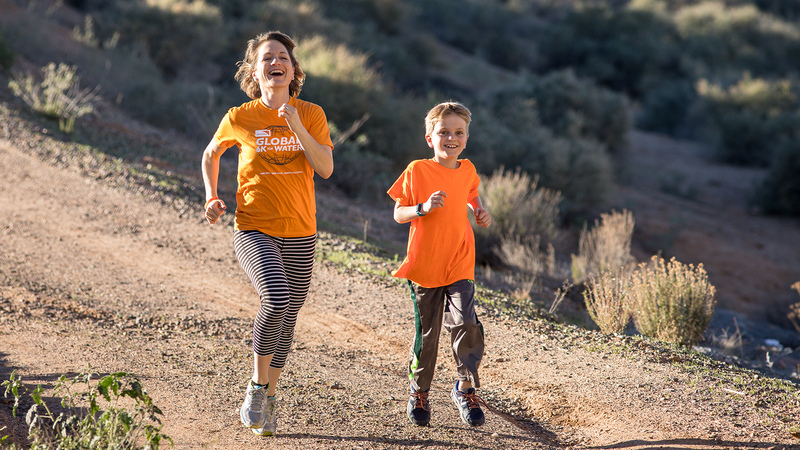 Of course, you don’t have to be a runner to participate in the Global 6K or to bring clean water to families in need. But if you’re up for the challenge, a few basic tips can take you a long way. All it takes to get started is that first step out your front door. First, get inspired by watching this video. Then download this guide to continue feeding your soul until the Global 6K for Water May 4. If you’d like to go deeper personally or engage fellow participants in your church family, check out this pre-event devotional guide. At the end, it offers a suggested music playlist for your training journey and during the event. And to educate yourself on what your participation means to children and families around the world, spend a few minutes here. If you’re looking to connect with other participants, find group training runs in your area. Before running for miles — if you’re planning on running — get used to walking and getting in shape. When you’re comfortable, start jogging. From there, stick to the training plan, follow the run/walk ratios, and you’ll be ready for your 6K. Jesus said, “And if anyone gives even a cup of cold water to one of these little ones who is my disciple, truly I tell you, that person will certainly not lose their reward” (Matthew 10:42, NIV). Who do we know who has a need we could help meet? How can we share the living water of God’s love with those around us? What are some ways we can look out for “the least of these” (Matthew 25:40)? The process of fundraising and training for a cause like clean water can be an inspirational and faith-building experience. Some people feel called to set big goals and then find unexpected joy when God helps blow those goals out of the water. Set an example: When people see that you donated, it shows you have skin in the game. Make a list: Write a list of 20 to 50 people you will invite to give. Be direct and bold: Ask people face-to-face. Follow up: Sometimes folks need a simple reminder. Share: Social media is a good way to share your journey and seek support. Use #6Kforwater to share your journey. Don’t quit: Not everyone will give. That’s okay. Carry on, be tenacious, and don’t give up. See the full list of basic steps, and take it further with these sample emails and photos. These people are amazing examples of that bold, no-quit attitude. 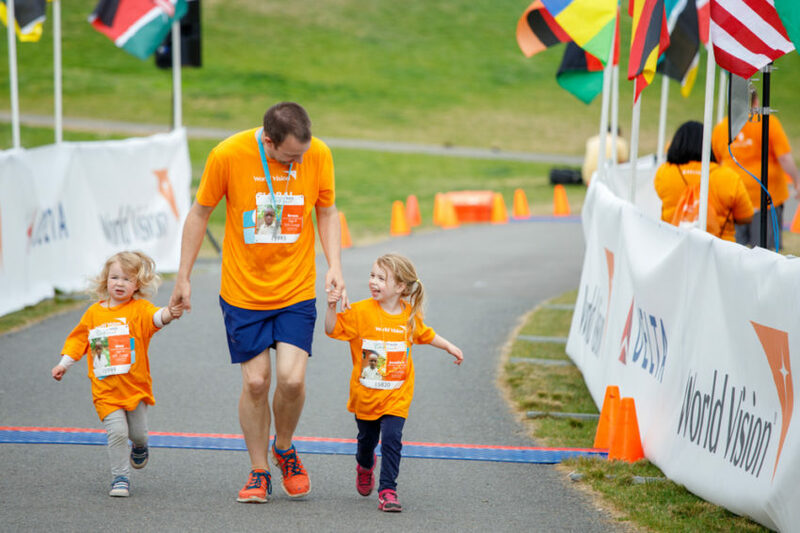 Every 6K participant provides clean water to one person in the developing world through the $50 registration fee, and your race bib will have a picture, name, and age of a child who will benefit from World Vision’s clean water projects. We encourage you to reflect on the transformative impact of the Global 6K and pray for these children as you participate in the event. Plus, you will have the chance to sponsor the child on your bib — an opportunity to develop a friendship with a child on the other side of the world, and to show the love of God, which brings hope and lifelong transformation. 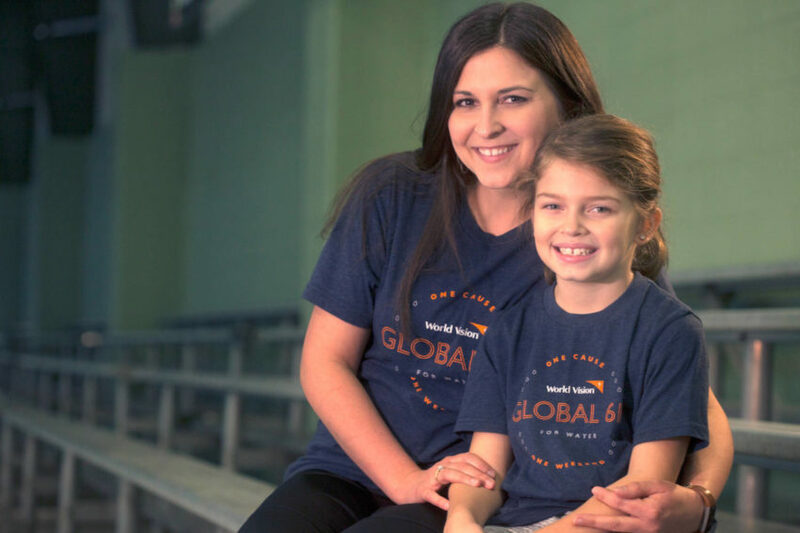 See what happened when Ashley, our Global 6K director, sponsored Beverly. If a child is thriving, everyone is thriving. It’s why World Vision believes so deeply in child sponsorship. It’s a personal way to show God’s love to a child in need and to help that child and their community stand tall and free from poverty. Even if you do all these things, your preparation and race day will be more fun and enjoyable if you partner with someone else. Find a friend, loved one, or mentor to train with, and invite them to do the Global 6K for Water with you. 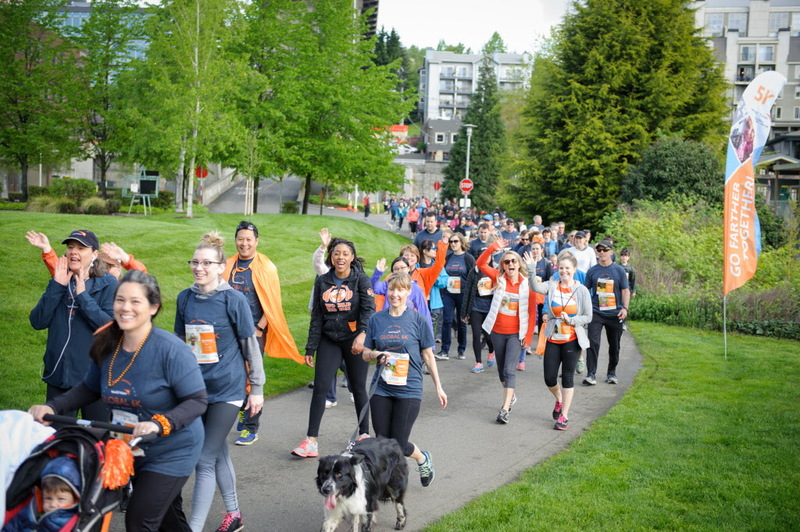 And if you still need a little kick of inspiration to get you out the door, read these dynamic stories from other participants featured in our Team World Vision Hall of Awesome. Remember, we’ll go further together! Rachael Boyer of World Vision’s staff in the U.S. contributed to this article.